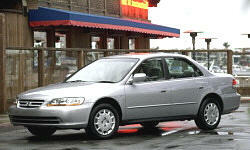 Why the 2001 Honda Accord? Why Not the 2001 Honda Accord? Its a little noisy for a sedan.